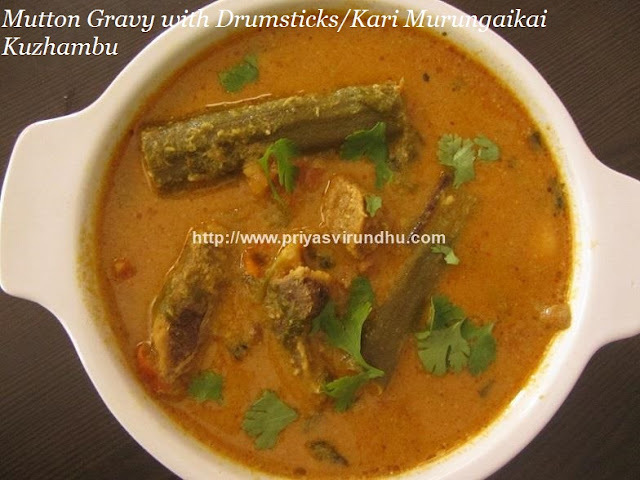 This is a delicious gravy made with coconut, vegetables and is packed with all nutrients and minerals. 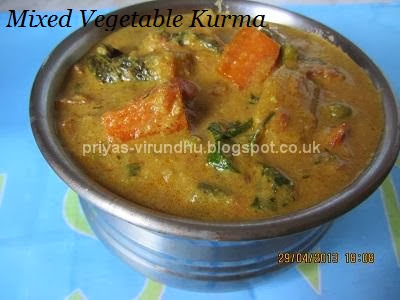 It is a perfect way to serve vegetables in one single pot. I make it for chapatis and puris, but sometime serve it with idlis, appams and dosas, and it tastes heavenly. 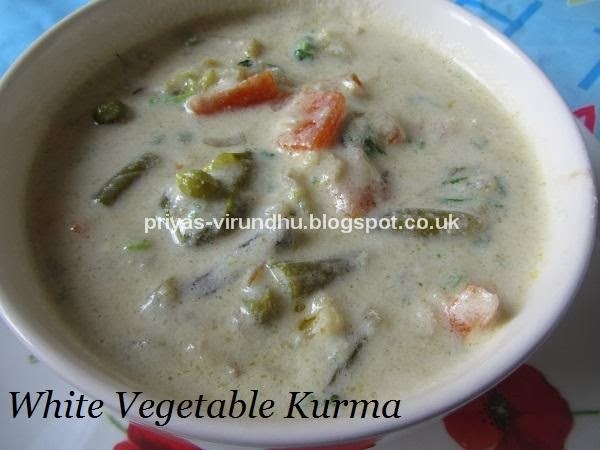 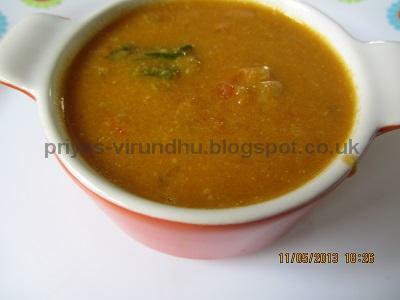 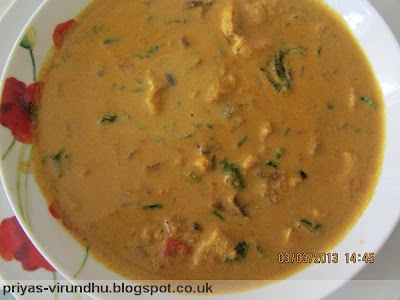 This is a very simple, easy and a very tasty South Indian kurma. 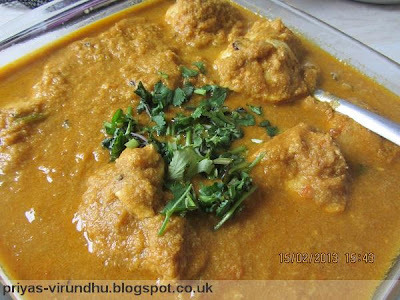 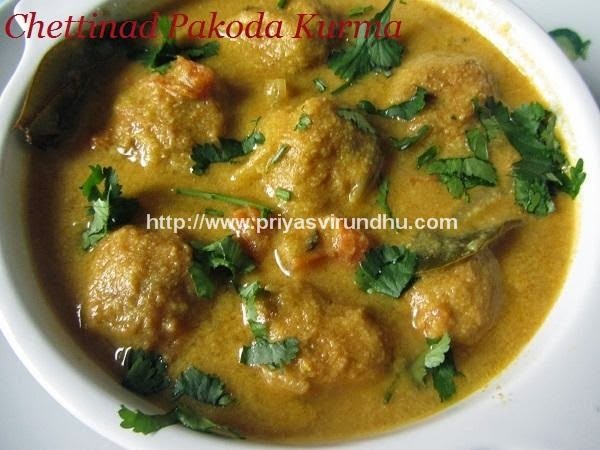 Chicken kurma is a delightful dish and a excellent combo for puri’s and chapattis.